This week in Pre-cal 11 we learned Trigonometry again, the difference in comparison to the pervious knowledge we learned in grade 10 are, now SOHCAHTOA, works in all 360 degrees and we learned two new laws: the sine and cosine law which comes in handy when there isn’t enough information for SOHCAHTOA. And this is how trig ratio is possible for all angles<360. I was introduced to this circle, with have 4 quadrants, basically, the x-axis of it is the principal axis and there are two angles, one is the rotation angle, the angle of that is measured from the X axis in the top right quadrant, the quadrant one, and the angle between that and the X-axis is the reference angle and the reference angle have the same trig ratio as the rotation angle, but it might be negative. 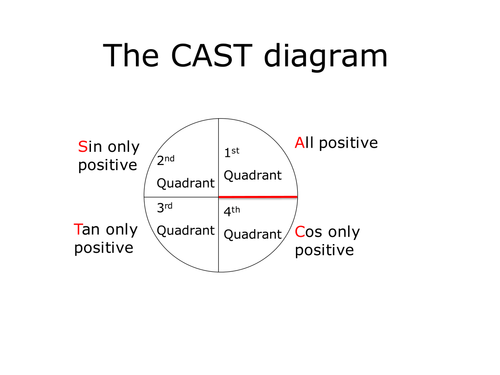 And how do you determine if a rotation angle in a certain quadrant is negative with its trig ratio, there is something called the CAST rule, with that you can easily determine if your trig ratio is positive or negative. This is the Cosine law, it can determine an angle with the length of the two sides created it known, vice versa you can find the any of the side lengths with the angle and when the other side is known as well. 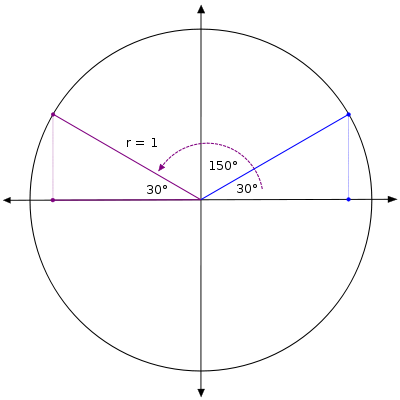 The is the Sine Law, it can determine any angle or sides in a triangle with two sets of side and the angle opposite of it, using the ratio one can cross multiply and solve to find any one of these variables with other three. This week we finished the rational expression unit. And this week we learned how to implement the skill of solving Rational Expressions into the real world problems. EX: Boat A is moving up a stream, and boat B is moving down the same stream, it took Boat A 2 hours to cover 15km and Boat B took only one hour, the current is 3km/h, what’s the speed of the boat in still water? Set Boat A, B speed as Xkm/h in still water, therefore Boat A will move at x-3km/h and Boat B will move at x+3km/h. Last week we learned how to simplify a rational expression, and this week we explored how to solve a rational equation. The difference between equation and expression is pretty straightforward, the expression does not have an equal sign, it only expresses its meaning. An equation on the other hand obviously have an equal sign, and our intent will be the solution the unknown instead of just simply simplifying it. There are two common ways to solve a rational equation. 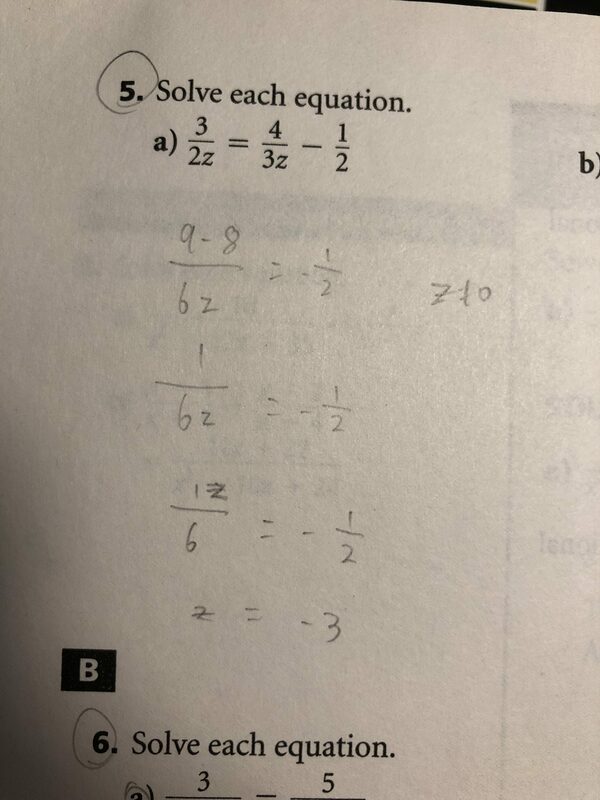 1: Cross multiplication, only works when there is only one fraction on each side of the equal sign. 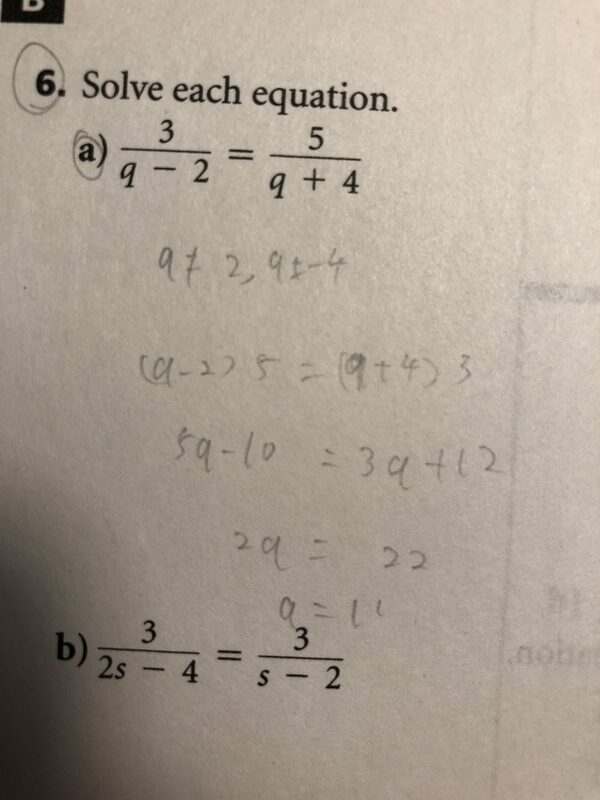 In this case, I multiplied(q-2)by5, and (q+4)by3. 2. Use a common denominator, and solve. The common denominator, in this case, is 6z. Last week we learned about Rational Expression, aka all real values of the variable except for those values that make the denominator zero. 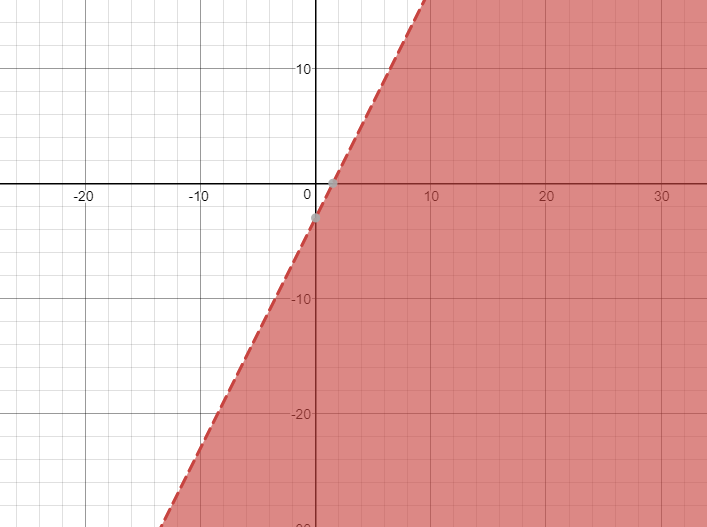 AKA2: In x/y, how to make sure y is not 0. Outside of non-permissible values, we also learned how to simplify and/or multiple, divide Rational Expressions. But due to the fact, a Rational Expression or any real number, in this case, is a fraction, all to be done is to follow the law of dividing and multiplying of the fractions. AKA: why diving, multiply by it’s reciprocal. and why multiplying just multiply the numerator with the numerator and the denominator and denominator, but just keep in mind that in any rational expression the denominator can’t be 0, so there may be non-permissible as well. And as it’s an expression, all you can do is to simplify it. So in an equation such as 3x.8(x-3)/2(x-3).9x^2. It might be helpful to use factoring to find the common thing that can cancel out to 1, like how (x-3) and 3x in this case. So after finding the common terms. they will just cancel out to 1, and in this case, 3x and 9x^2,(x-3)and (x-3) cancels out. 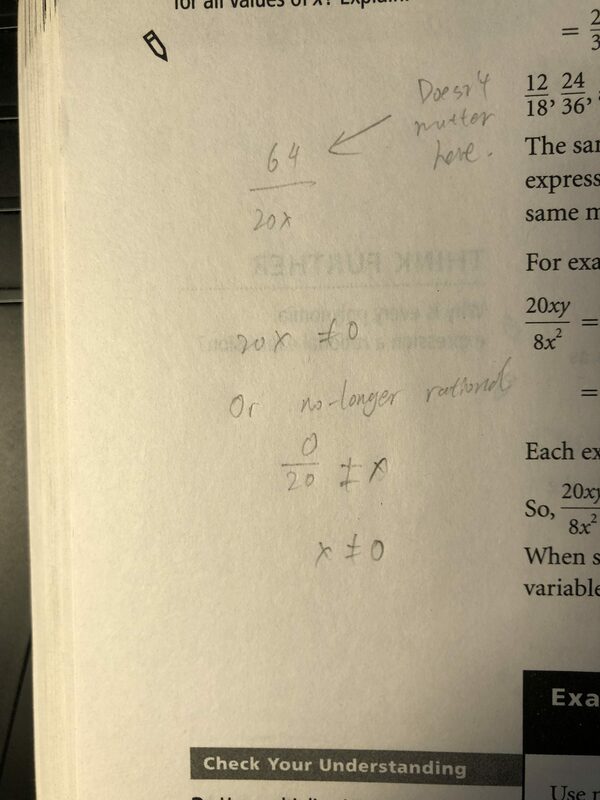 and leaves you with 8/2.3x=8/6x=4/3x and don’t forget about the non-permissible, and remember you have to find them in the original equation, as they will be lost when you simplify the equation. In this case(x-3)can’t be 0, therefore x not equal 3, and 9x^2 can’t be 0, therefore x can’t equal 0. 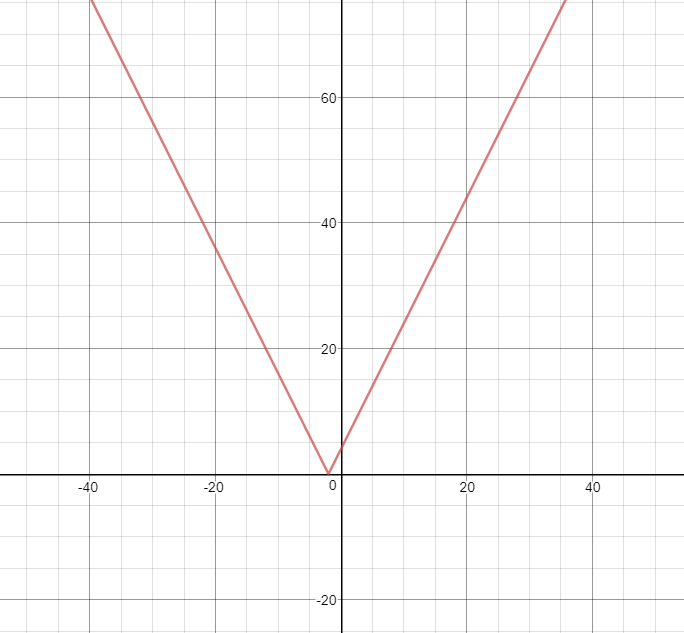 An Absolute value (||) means whatever inside is going to be positive, when we put a linear function within ||, it becomes an absolute value linear function. The graph of it will change, as we know, a linear function is a straight line, either having a 0 slope or / positive slope or \ slope. 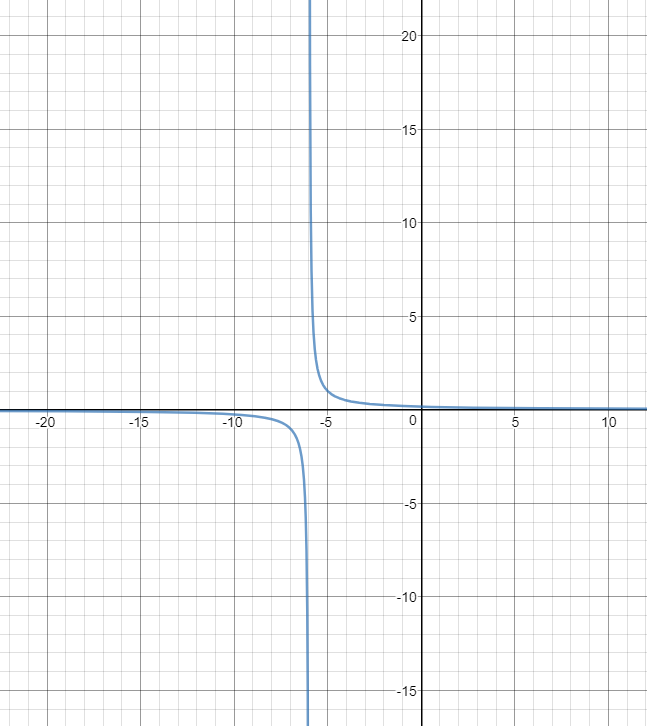 When graphing an absolute value linear function, if the slope is not 0, the line will bounce back up in the opposite direction of the original function at x-intercept. 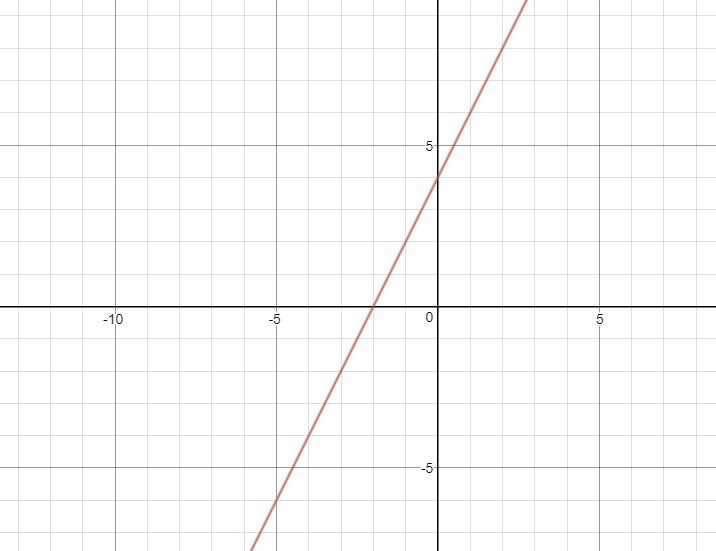 2x+4=y, a simple straight line with a slope of 2, and y-intercept of 4. But magic happens when you put||on to the function. As the output of an absolute value cannot be negative, y, in this case, will also have to positive. 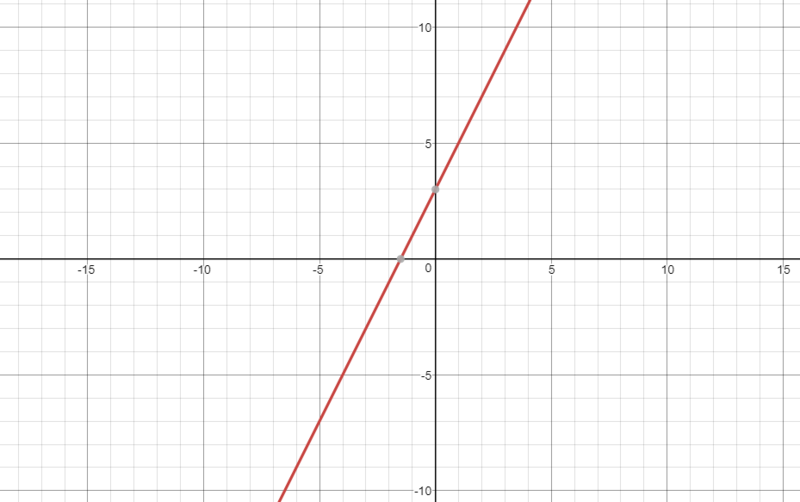 But with our previous graph of the original equation, the Y clearly dipped under 0.
the Line reflected up, from this example we can learn that when graphing a linear absolute value function, all you need to do is find the x-intercept of the original line and draw a reflected line from the original root. In previous grades, we learned about linear equations and inequalities with one and two variables, now we learn how to solve them graphically. To graph a linear inequality with two variables we firstly rearrange it to y-intercept form in order to graph it. 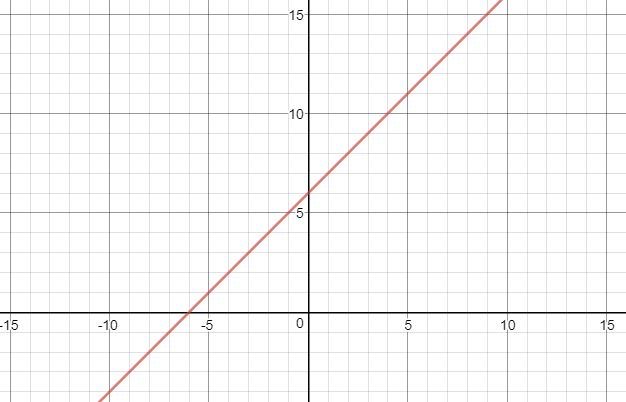 With y-intercept form of the equation, we are able to graph a line just how we did in grade 9. The difference is in an equality the equation represent the values on the line and inequality represent a whole area. we would take two test coordinates from each section of the graph and plug it into the equation, if the equation is true then the side with the coordinates will be shaded. 2(0)+6<4(0) 6 is not less than 4, therefore the otherside will be shaded. One last thing you have to do before you submit your answer is to determine whether you should use a solid line or dotted line if the sign involves = sign, you use a solid line. (In this case it’a dotted line due to the fact that it’s only a < sign). In week 9 of pre-cal 11 We learned how to analyze the general form of quadratic equation along with many things. With analyzing, I mean you factor the equation if it’s factorable. And apply the knowledge I learned from last unit to find the two or 1 roots, and using logical thinking such as the axis of symmetry must have the same distance on the x axis to both roots and etc to find more information without changing the equation into standard form. In week 8 of pre-cal 11, we learned how to graph quadratic equations with the general form and the standard form. a +bx+c, is the general form of the equation, with this form the equation we can find limited information comes to graphing; we can determine the direction and the compression ratio of the graph from a, and y-intercept from c.
But we can easily change this equation to standard form by completing the square; from this form of the equation we can determine the position of the vertex with q being the y-axis(+ going up,- going down), p being the x-axis(- going right, +going left) and the direction of opening and the compression ratio of the graph by looking at a,( the ratio of the graph will be congruent to a =y, a determines the direction of the graph( if negative a, facing down, if postive a opens up).